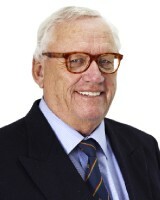 Gunnar originally from Sweden came to South Africa in 1975 as the Managing Director for a Swedish international trading company. After similar positions in Teheran, Brussels and Cologne he spent 5 years as a business consultant with the Swedish Trade Council in Johannesburg before returning to Cape Town. He became a certified estate agent in 1998 and joined a leading real estate company first as a property consultant and later as branch manager for both residential and commercial sales. He obtained a Certificate as Professional Principal Estate Agent and has had his own real estate company since 2009. Also speaks German.